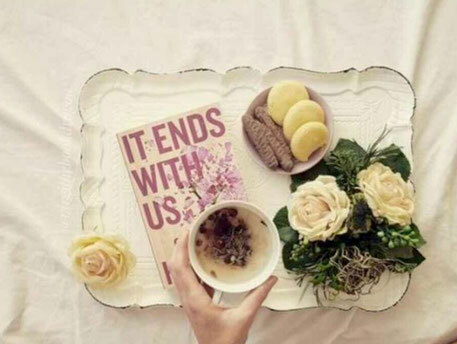 *Tea in the picture is our Chain Breaker tea. Pink Umbrella is a black tea perfect for cozy get togethers in stone huts near dark forrests! 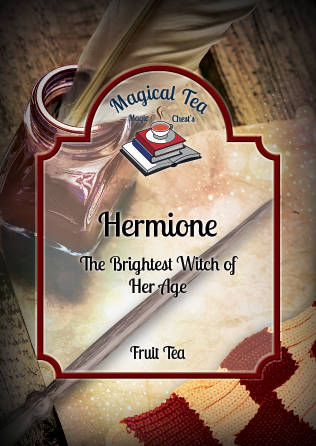 This magical black tea has a light taste with a pinge of chocolate. 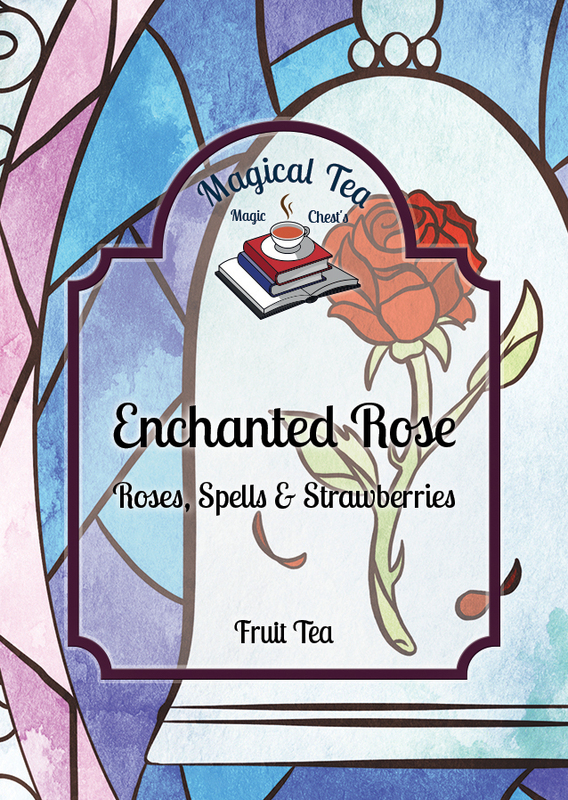 This fruit tea will enchant you like Amortentia. Sumbtle fruits like apple and rosehip meet mint and magic. Perfect for hot summer days and cold winter nights. 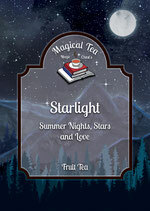 This fruit tea is perfect for lovers of strawberries, oranges and adventures! 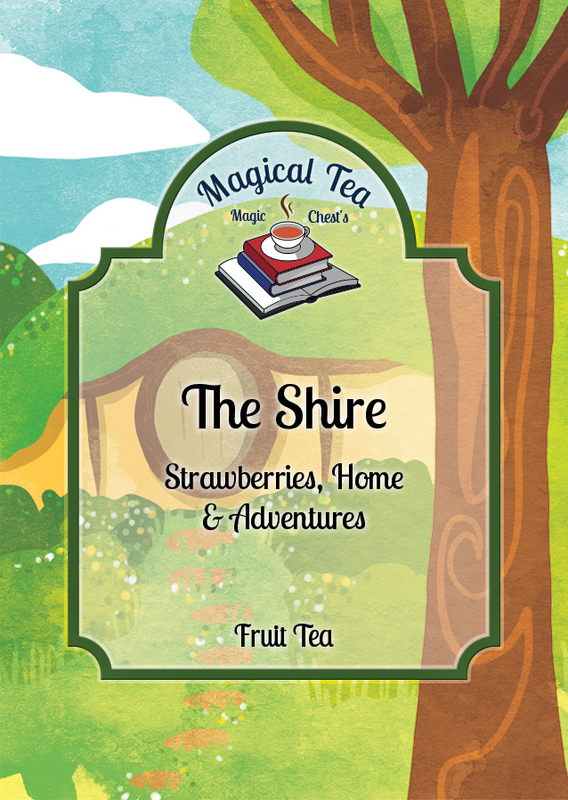 Go on an adventure with Hobbits, Elves and Dwarves this summer with this fresh, fruity Magical Tea! Tastes divine when cold and hot! 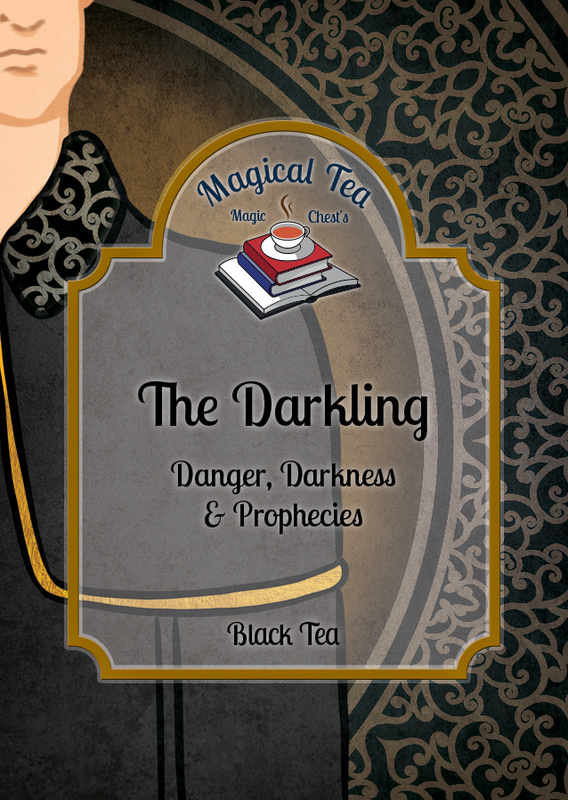 This magical black tea is not only black as the Darkling's soul. 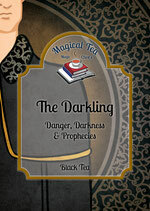 It represents the characteristics of the Darkling: dark, yet sweet. Cozy, and yet nothing you should indulge in for too long, lest you get lost in the taste. A truly magical drink for all thieves, tricksters and gentlmen. 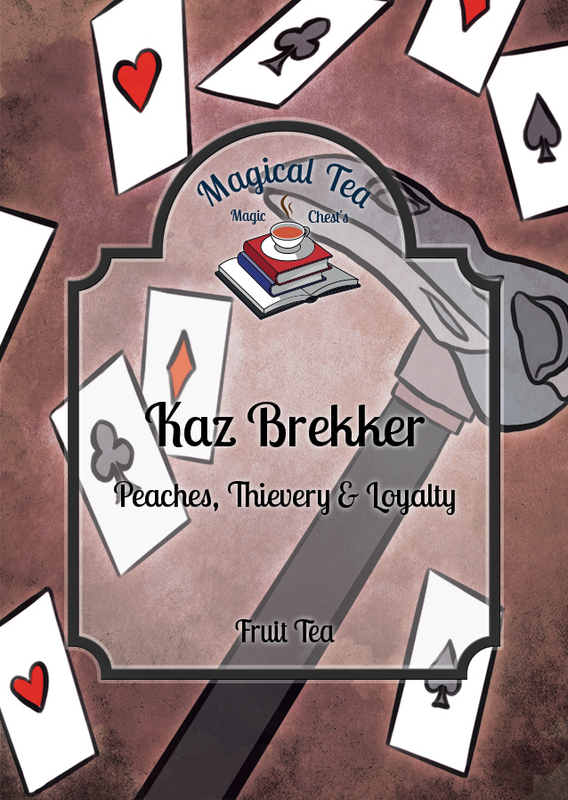 Just as Kaz is sweet and nasty at the same time, our Magical tea has sweet, but also sour components like peaches and pineapple to create a magically forbidden mix no true mobster could resist. Roses, Strawberries and Love are the most important ingredients for any spell or curse when compassion and love are involved. Enchant your significant other, or dive into a magically enchanted world yourself with our fruity blend. Perfect for cold and hot days! 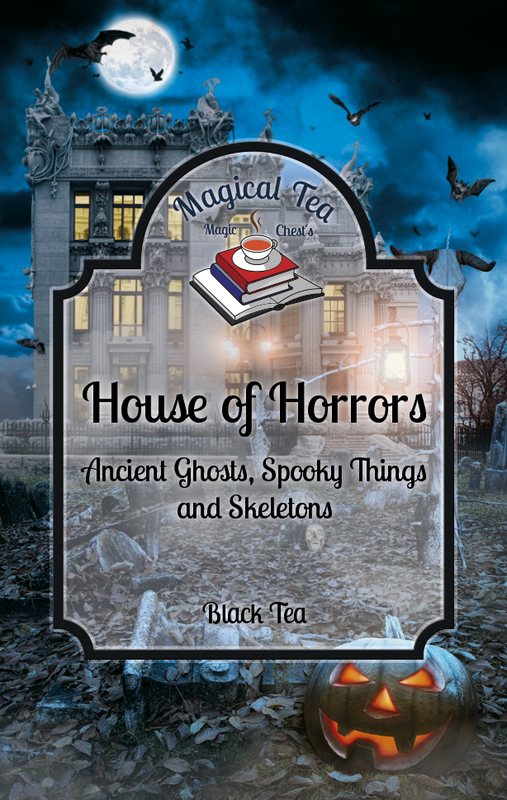 This spooky MagicalTea blend will let you enter the world of the paranormal, the horribly magical and spooky. 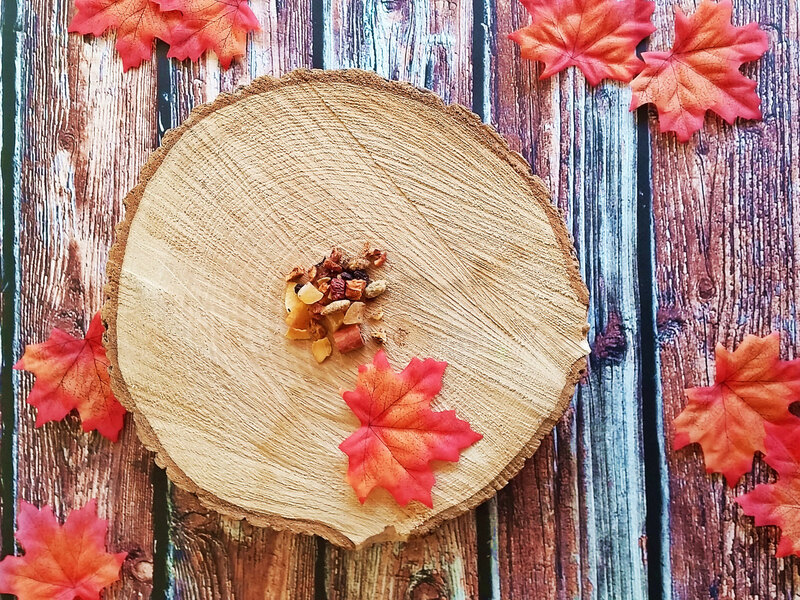 It is a perfectly mild black tea with cornflowers, mango pieces and enough magical energy to let you see the magic in All Hallows Eve. Discover this special holiday anew with this spooky blend. Tastes like Black tea with a pinge of fruity sweetness. 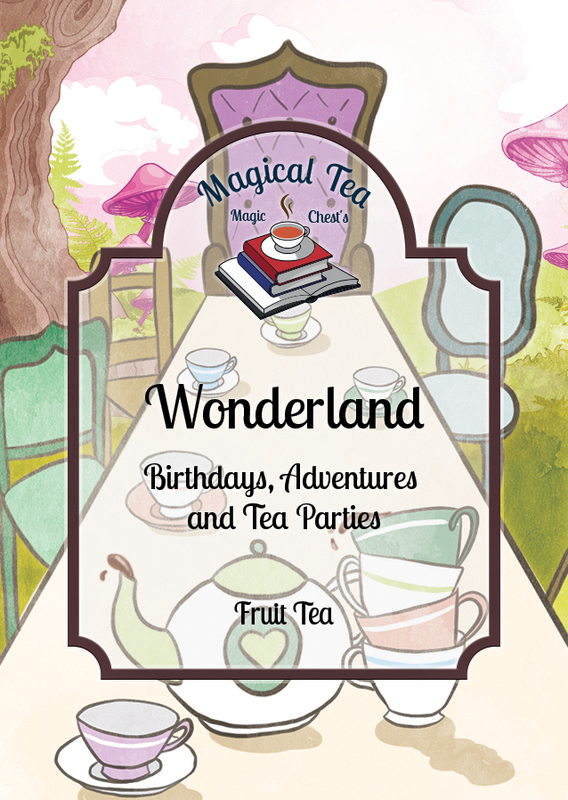 Wonderland is a fantastically fruity tea that is not only delicious when hot- it is the perfect refreshment for hot days as well! Just brew it with hot water, or let it steep in cold water for a bit longer and you have the perfect, healthy summer drink! Made with birthdays, adventures, sunflowers, mango and papaya. Secret tip: add some berry juice for a magical touch! 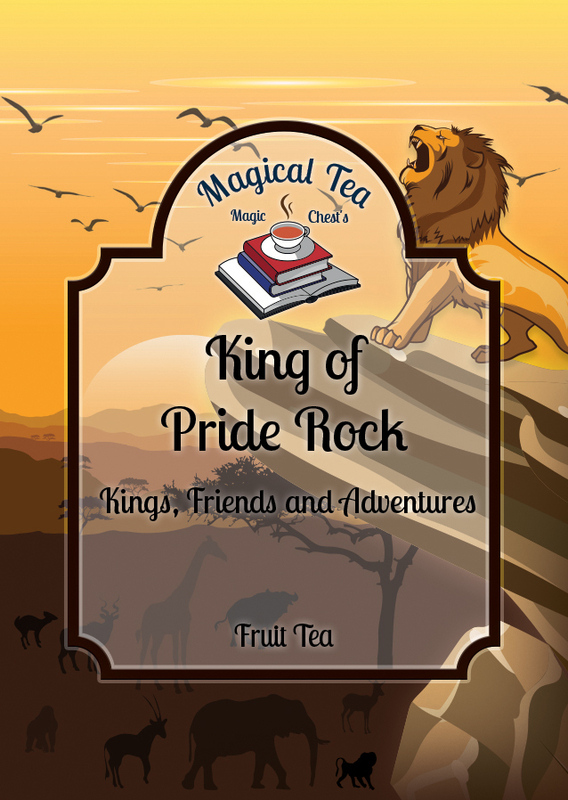 King of Pride Rock is the ultimate mixture of summer fruits! With oranges, adventures, friends, maracuya and pineapples, it is the perfect non-alcoholic drink on every party, bbc, or just a great way to treat yourself on hot days! You can brew the tea with hot water (stronger flavour) and let it cool, or you can let the tea steep in cold water. Secret tip: add a bit of apple juice to give it some extra juicy flavour! 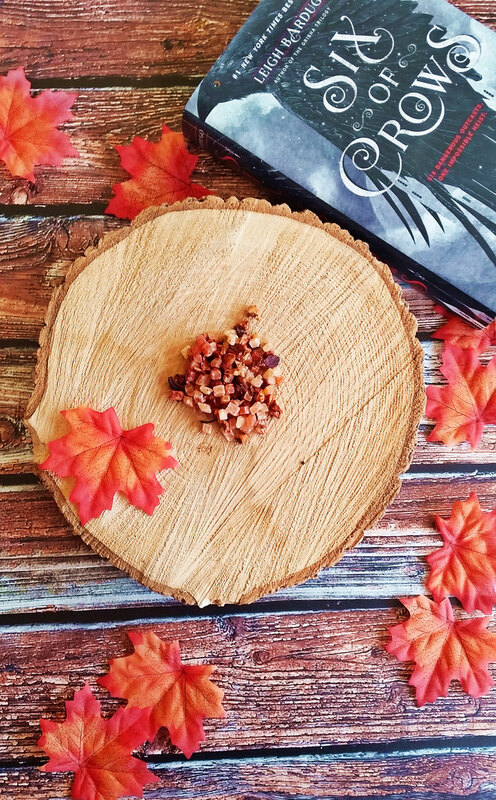 This tasty blend is the perfect addition to the new release A Court of Frost and Starlight by Sara J Maas! 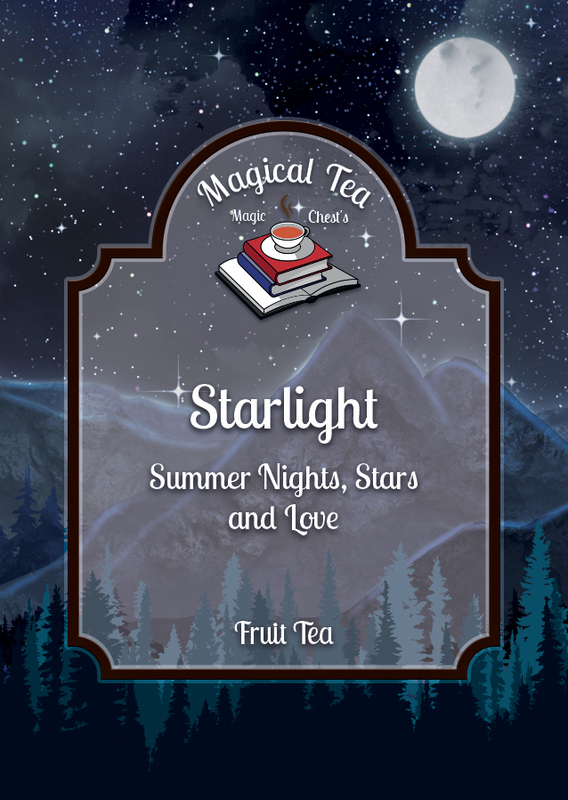 This tea is a dream hot, but cold, it tastes like a sky full of stars! The tea is made of summer nights, love, and lemongrass. 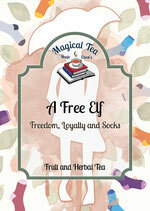 Our A Free Elf tea is the perfect tea for special occasion and celebrations of bookish freedom! 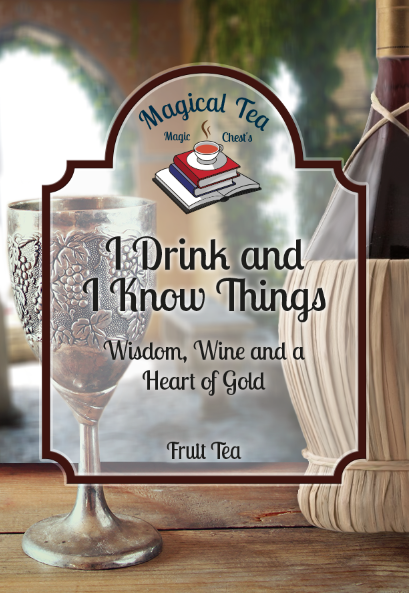 This fruit tea has just the right amount of herbs to be refreshing, naturally sweet and worm its way into your heart! 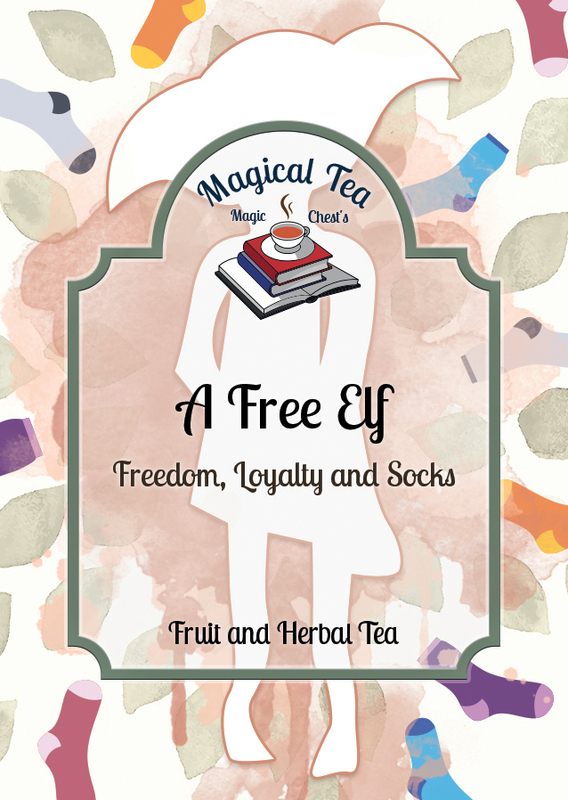 With freedom and friends, vanilla and berries, it is the perfect drink to enjoy with muggles and magical folk alike! Rhysand is a great friend and leader. He is strong, cunning, sweet and considerate at the same time. 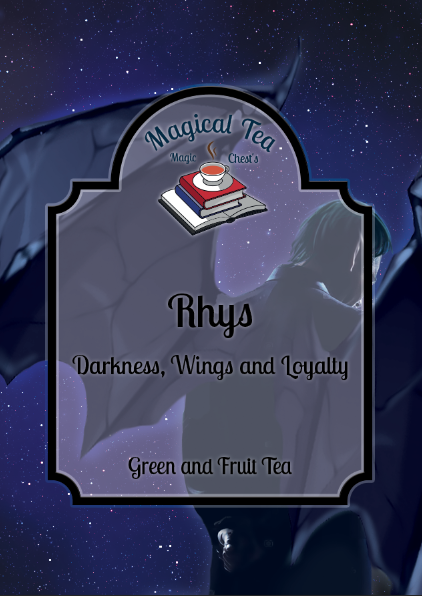 We tried to put all these characteristics into our Rhys tea. 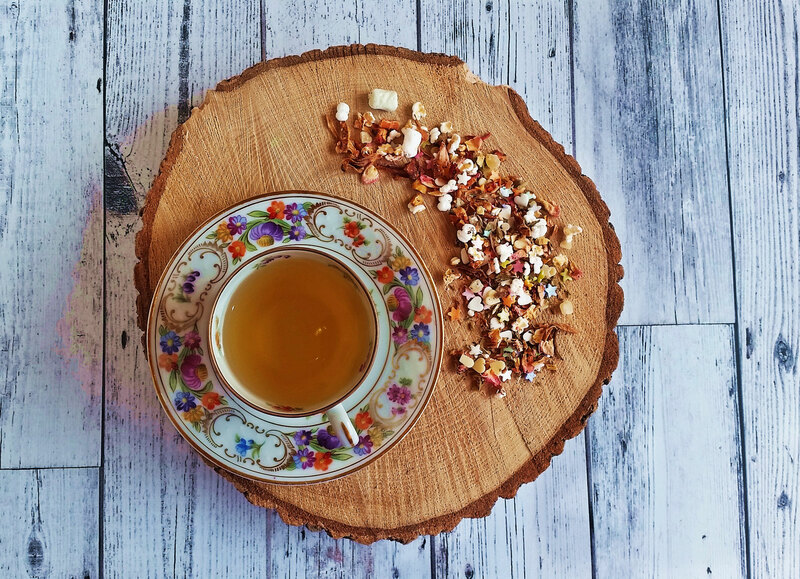 With white tee, oranges, jasmin and strawberry pieces, this tea is not only sweet, exotic and refreshing but also perfect for a cosy evening at home. A common room is not only a place where friends and family can meet, talk and have fun. It's also a place that contains mysteries of its own. Cozy, warm and familiar, that's a great Common Room. Drink this great blend on an extra cold day to enjoy the many flavors even more! This MagicalTea is a spicy mixture that will warm your heart instantly! Unicorn Dreams was inspired by one of my favorite movies. Unicorns are mystical and fascinating and of course, they carry all kinds of wonderful magic with them. 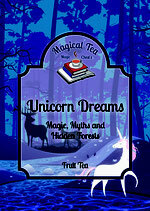 This tea is an hommage to all unicorn lovers. 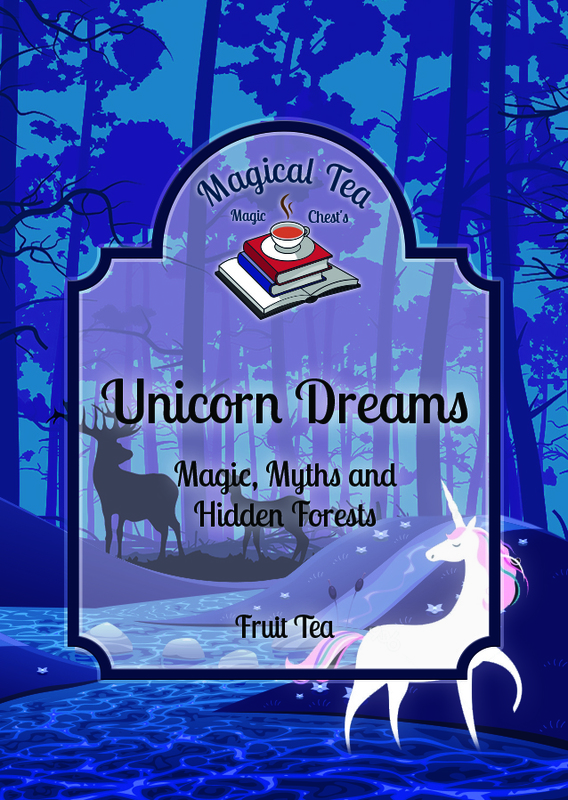 Unicorn Dreams is full of colorful stars and marshmellows as well as fruits. It gives you a tasty of myths and clouds, of fruity and sweet. One sip will have you going on a journey in search for the last unicorns! Gluten Free, Veggie, Contains Milk! The House of Wind on the mountain tops looks at Velaris. It is home, refuge and safe haven for those who are brave enough to dream. Follow us into this wonderful world and this house that has become the home of so many of our beloved characters. 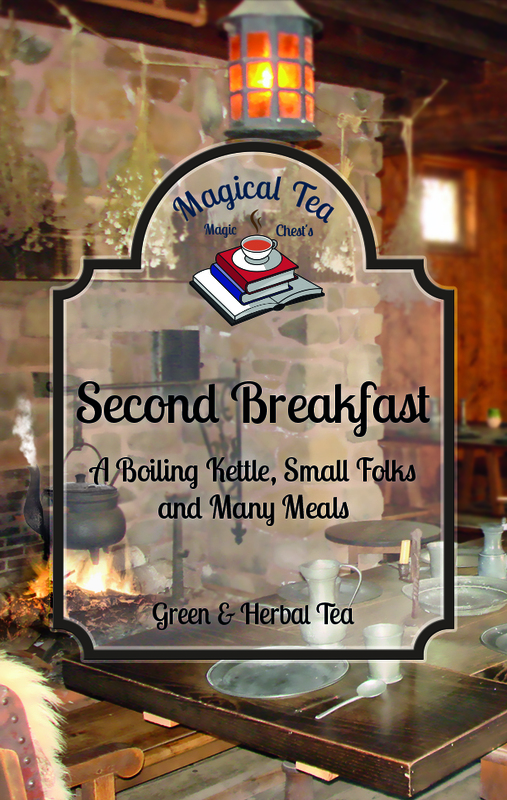 This Magical Tea is a spicy tea that is best enjoyed in a cozy place. 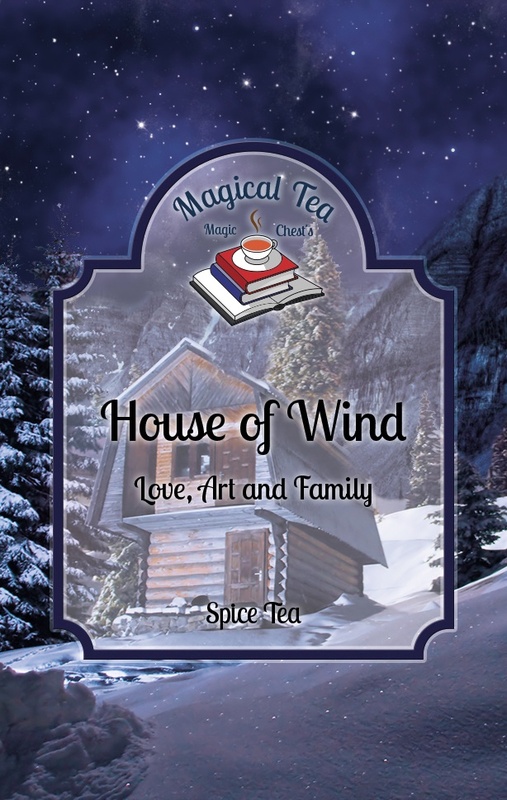 House of Wind is the perfect tea for a cold winter night. The Morrign speaks the truth and she is strong. But there is another side to the hard warrior, the rebell. It sweet and warm and cozy. We want to bring you the two sides of Morr to show you that we're all strong and soft at the same time. 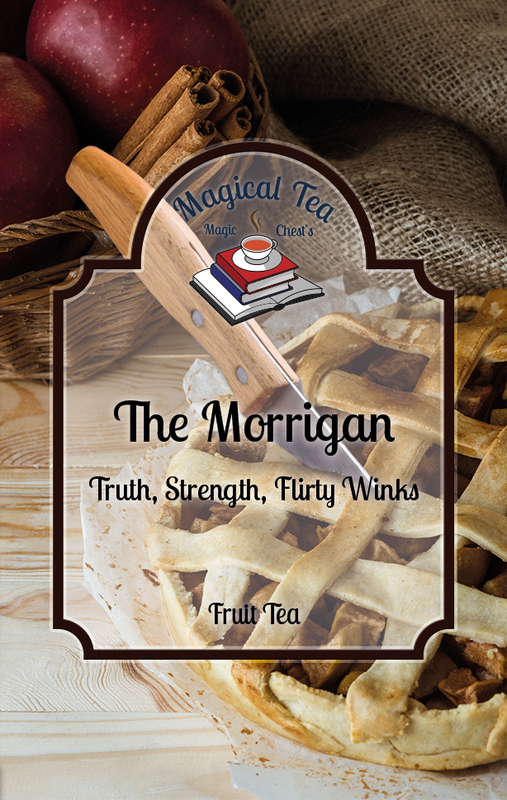 Morr loves apple pie and so do we. 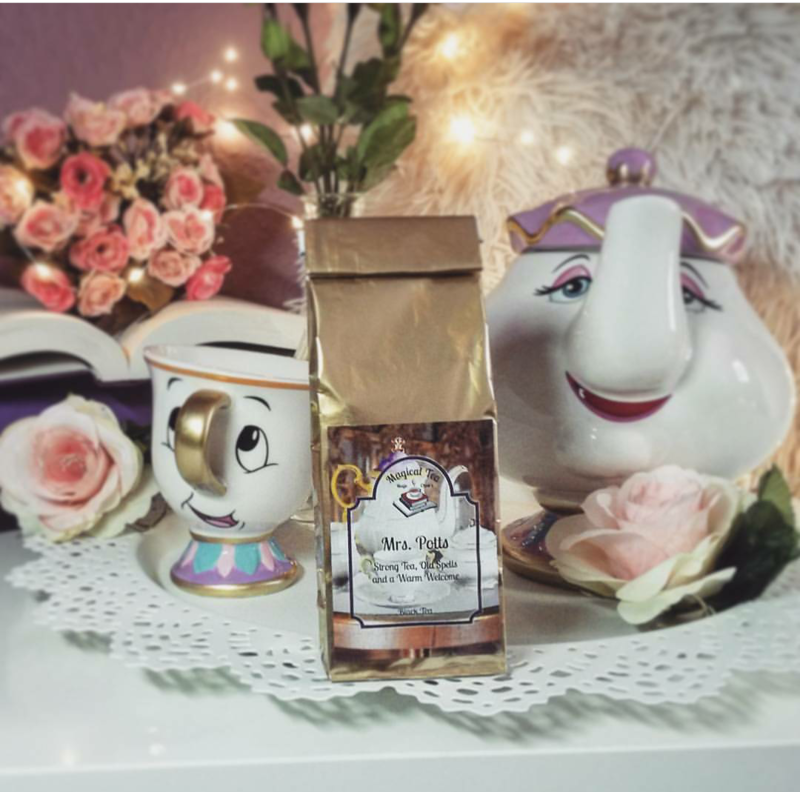 Join our cake lover club with this wonderful tea. 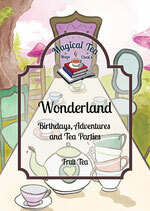 This Magical Tea is a fruit tea that is best enjoyed with a piece of cake. Nina is a fun and brave character we all love and admire. 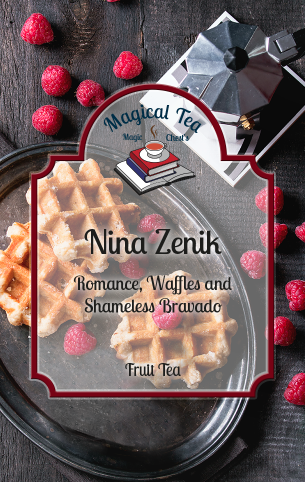 This tea is not only for Six of Crows fanboys and fangirls but also for all hopeless dreamers and fighters. This Magical Tea is fruity and sweet and is best enjoyed with a waffle or two, or three. 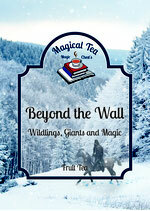 The things beyond the wall are magical and mysterious. Creatures as old as time, of long forgotten tales. The wonders and stories of the first men, giants and the children of the forest. All these people and tales aren't only giving you a foreboding feeling, but also a sense that there's something greater out there that will perisit the ambitions of men. 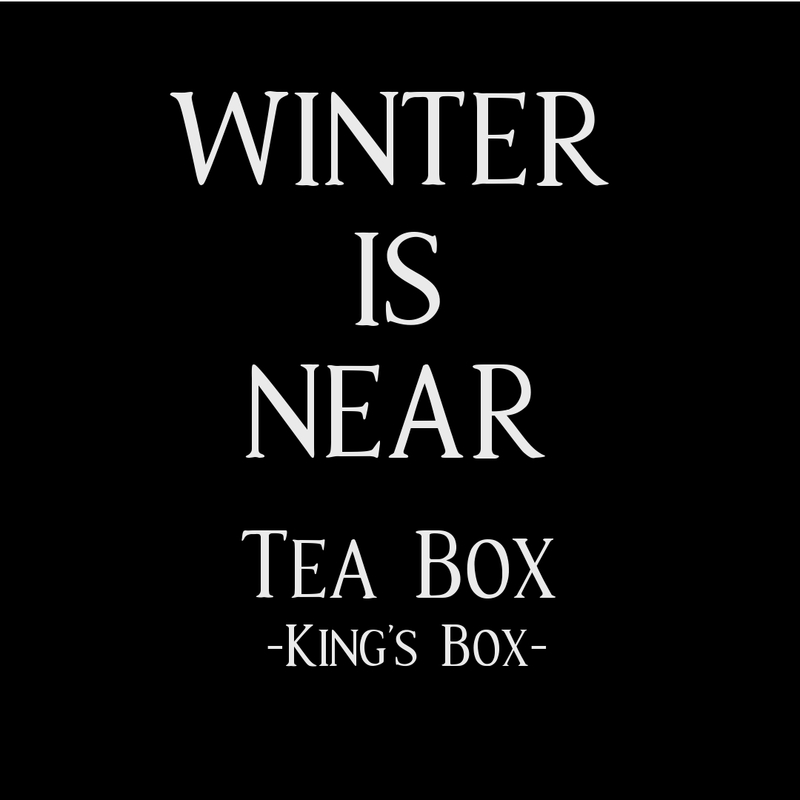 Dive into this world with our cup of this Game of Thrones inspired Magical Tea. 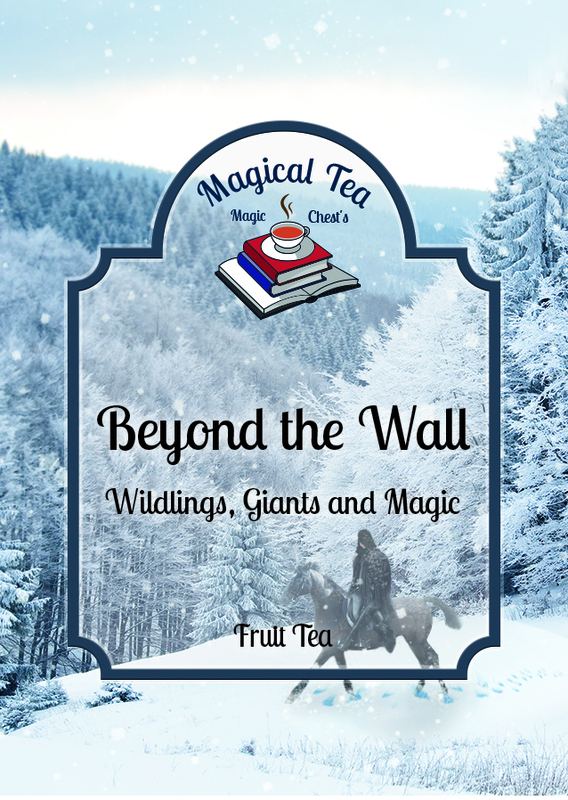 This is a cozy fruit tea that tastes fresh and snowy and reminds you of the way of Wildlings, Giants and Magic. Chain Breaker takes you through the desert and the great gras sea to join the mother of dragons when she fights to reclaim her homeland. Shatter shackles, ride with dragons and fight against the Night King with Daenerys Targaryen in the battles to come. This mix of fruit and herbal teas represents all the places Danny has been to and the people she has freed from slavery. Go with her on her next journey with the Chain Breaker tea! 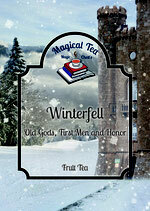 Winterfell is not only the residence of the Warden of the North. It is a home to one of our most beloved Game of Thrones families: House Stark. It is a place where myths and legends meet the new world. 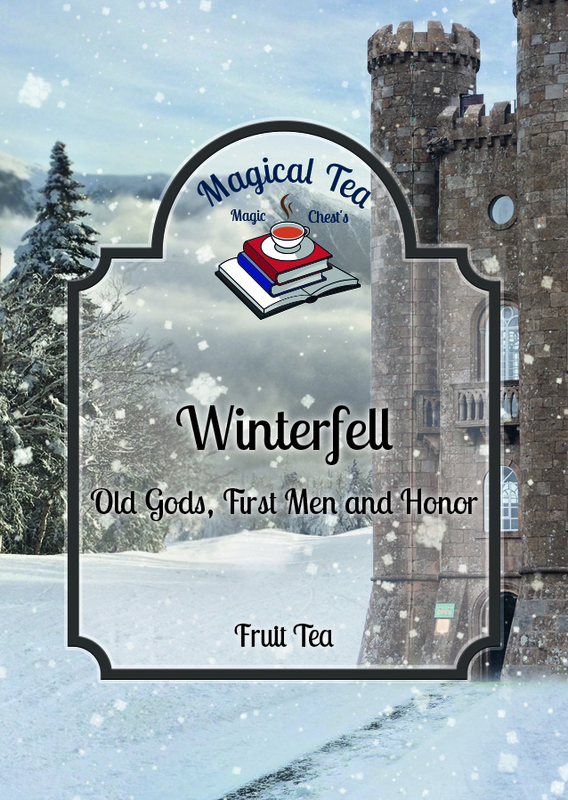 Get into your favorite armchair by the hearth and listen to the stories our Game of Thrones inspired Magical Tea has to tell: a story of Old Gods, First Men, traditions and legends long forgotten and honor. Mrs. Potts has a warm welcome for every one of her guests. Her big heart has a place for all of us and this tea is for her and her great manners, jokes and her good advice. It's perfect for tea time with snacks, cakes or sandwiches as well as breakfast. 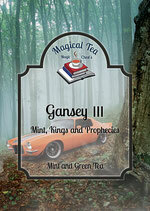 Gansey III - determined, always interested and resourceful. 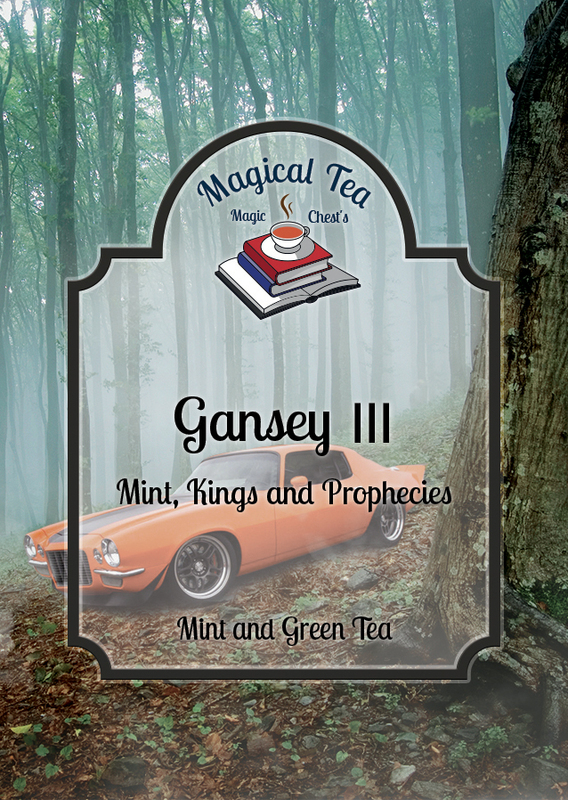 We have combined the mysteries of Kings and Prophecies with the relaxing and exciting tastes of Mint and Greet Tea. Follow your favorite character to one of the most wondrous journeys - but don't forget your mint leaves! 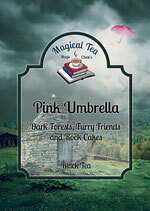 This MagicalTea blend is best enjoyed in the forest, when the ravens fly in the sky. Ents are creatures that existed since the Elves started roaming the Earth, waking up trees and teaching them how to speak. Now, their kind is dwindling but we can still see and learn from these ancient creatures that roam the magical forests of Middle Earth. Enjoy this fresh minty tea for breakfast, or in a quiet moment under the trees. 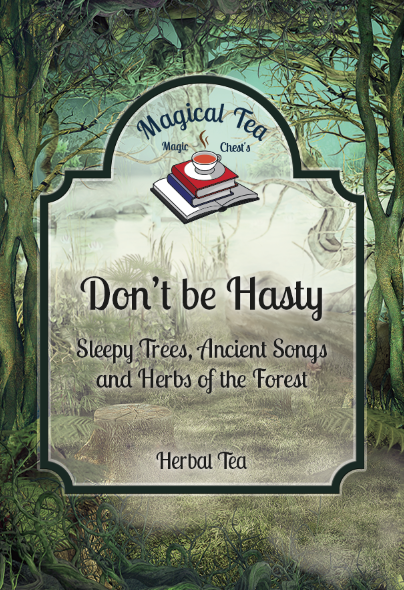 This Lord of the Rings inpired Magical Tea is a mixture of all relaxing herbs to remind you to not be hasty. 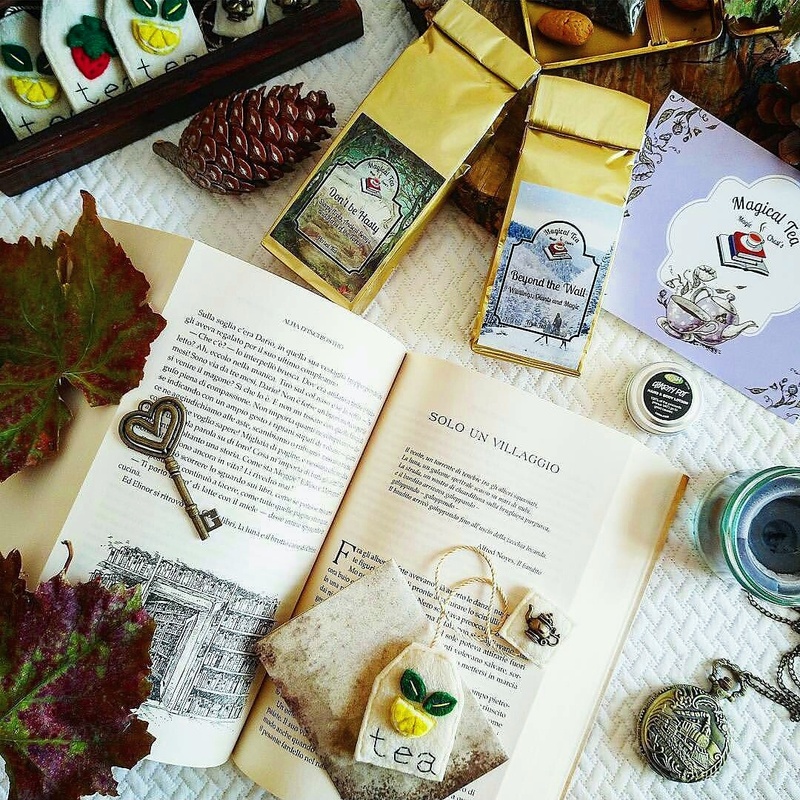 It is a perfect gift for book lovers as birthday present or christmas gift. 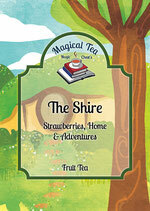 The Shire and its people love many meals- if they can get them. They love things that grow, the simple and enjoyable things in life like a warm hearth, good food and a nice ale to wash it all down. 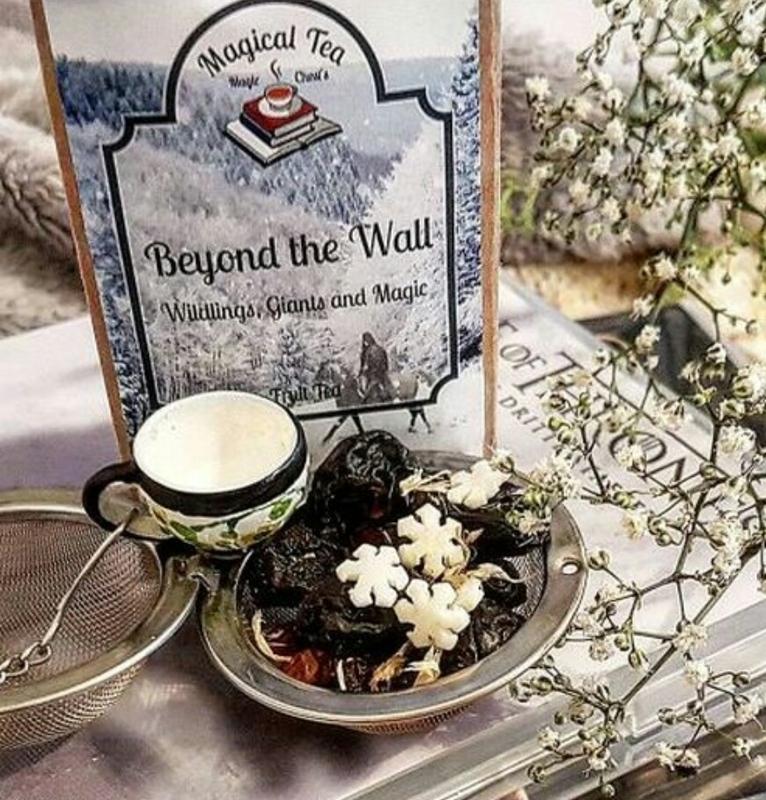 This Lord of the Rings inspired Magical Tea has all the feels of green tea and refreshing herbs. A hint of apple makes this perfect for any meal or desert. 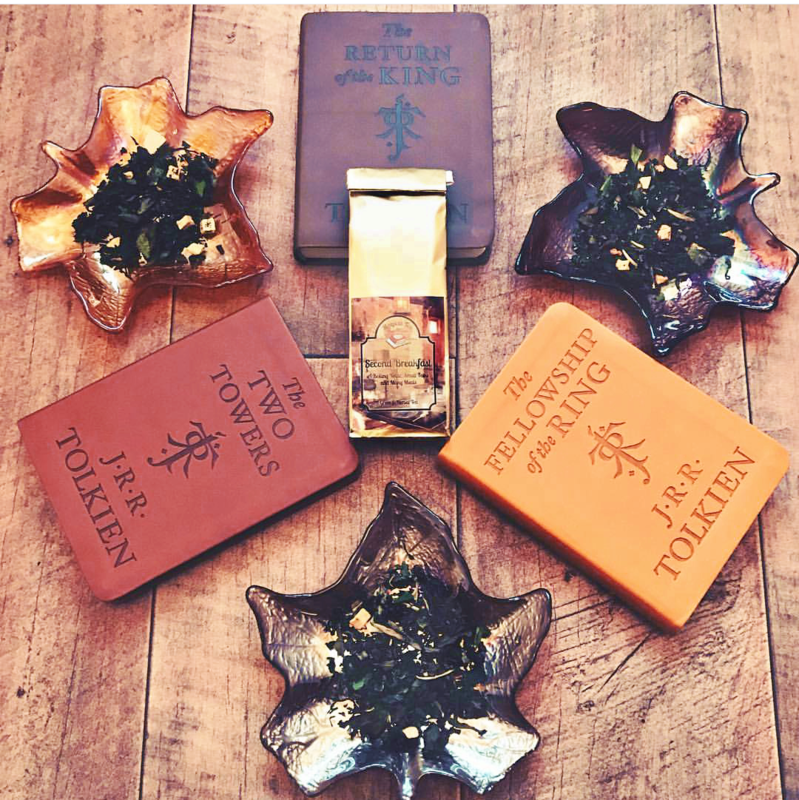 A must have for every Lord of the Rings fan and a wonderful gift for bookworms! Tyrion of House Lannister is witty, a fast thinker and quick with his tongue. He knows what to say and when to say it. We want to share with you his knowledge and wit. 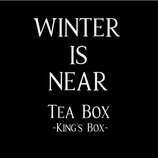 That's why he we dedicated this tasty tea after the most sarcastic Hand a queen has ever had. 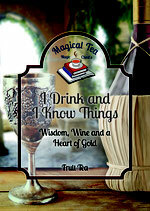 This tea is perfect for a round of tipsy ramblings, good advice or making up new philosophical stories. 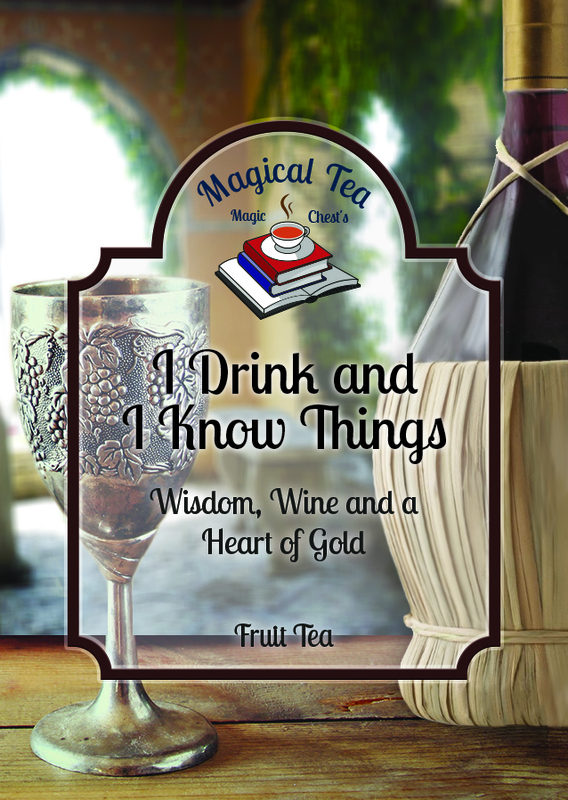 This Magical Tea is a fruit tea that gives you a taste of the sweet life and the tart flavor after a good glass of wine. !This tea does not contain alcohol! 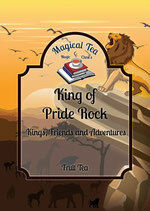 This is our very first Magical Tea box. The theme is Winter is Near and all items will be connected to the Game of Thrones fandom. 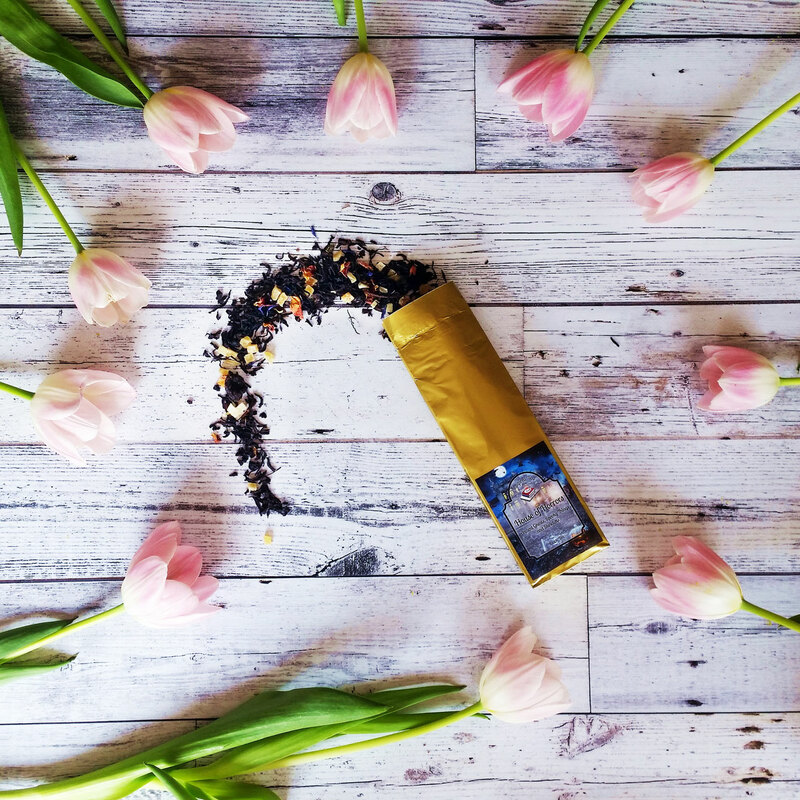 Get excluisve items exclusively created for this Magical Tea box. There are two options for this box. - One high-quality item that is not tea. The Lord's box has a total of 5 items with a total value of over 40€. Shipping costs include insurance and tracking. The King's box has a total value of over 80€.